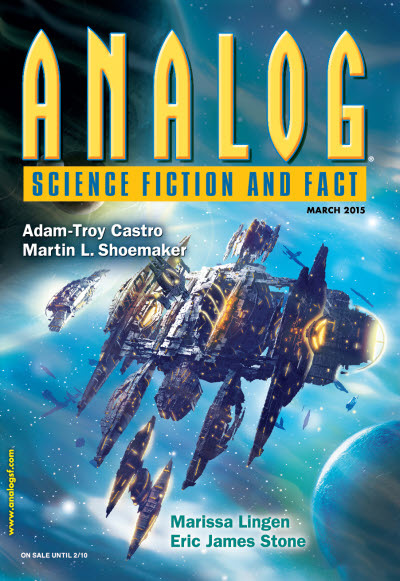 "Brigas Nunca Mais," by Martin L. Shoemaker [bio] (edited by Trevor Quachri), appeared in Analog Science Fiction and Fact issue 03|15, published on December 15, 2014 by Penny Publications. Pro: The envelope story (how could Nick's wedding be that bad) is complete and so is the embedded tale. Narration and dialogue are solid. No scientific errors worth mentioning. All the pieces come together at the end. 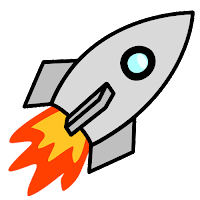 Con: Letting Rosario live takes all the energy out of the piece. Yes, he pays a cost, but it doesn't seem like enough to make the story great. Also, we're surprised she didn't marry him anyway. It makes her look really bad that she objected to sharing the blame with him--and wasn't grateful for being saved.